SHE SHINES ON loves our Starvista family! We’re a tight knit, special group that shares some incredible memories that only fellow Starvistas can ever understand. 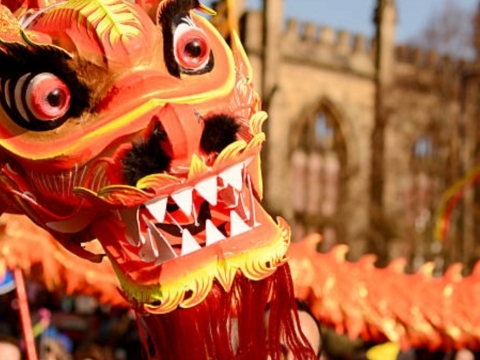 We’re lucky to have dancers from all over - New Zealand, Australia, South Africa and the UK! 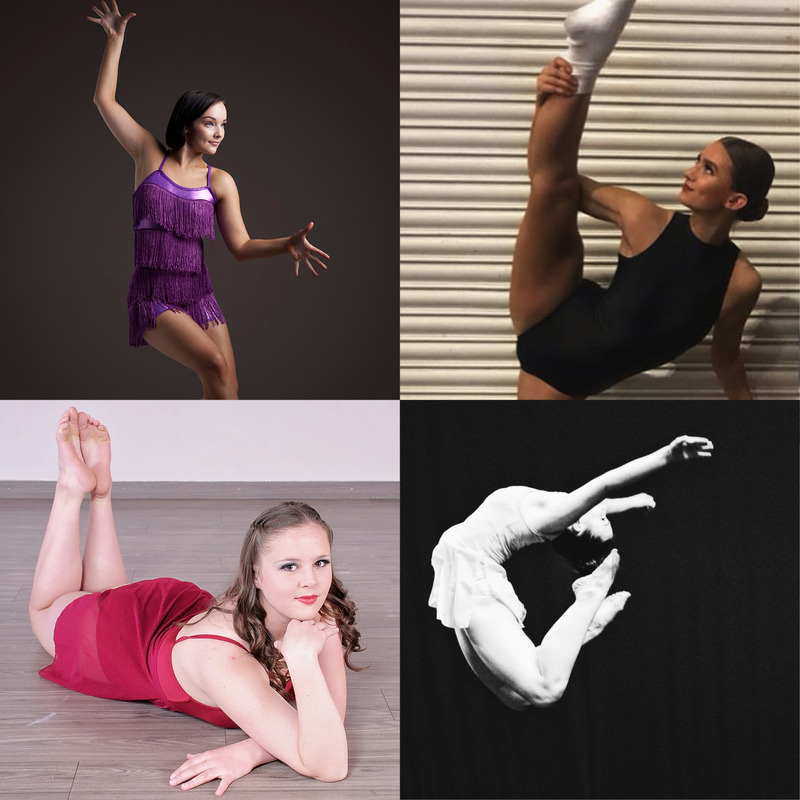 With dancers from all over the globe, we wanted to bring our special Starvista community a bit closer by introducing you to a few! What do you love about dance? I love the feeling of being on stage and performing in front of an audience - there is no other feeling in the world that is better. I love being able to share my passion and what I love with people, in such an exhilarating, rewarding way. I love putting on a piece of music and letting my body express what I’m feeling. I love the people and the community that dance connects you with, both who you dance with and internationally. I love everything about dance! When did you go on your SHE SHINES ON Dance Tour? I went on my first SSO Tour in April of 2017 to Los Angeles, and I went on my second SSO Tour in September of 2018 to New York & Orlando. What did you learn most on tour? There is so much that you learn on SHE SHINES ON Dance Tours, both about yourself as a dancer, but about yourself as a person as well. 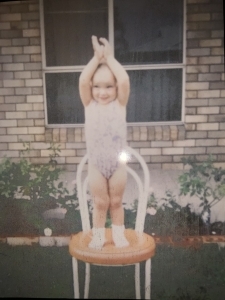 I obviously learnt incredible things about dance and the performing arts industry through the amazing opportunities we had and the teachers we were taught by, but I learnt more about self belief, inspiration and positive mindset through the incredible workshops that we had with Kim Davey. She is such an inspiring person to be around. What she teaches about your mindset in life is something that I will never forget and one of the most valuable things that I learnt on both tours. What are your dancing goals? I want to go overseas when I leave school and dance professionally! I never knew that this was something that I could seriously do, but after my first SSO tour, I realised that it was something that is possible and that you can achieve anything that you put your mind to. On the New York tour, we had workshops with current Broadway dancers, and ever since then, my long term goal is to be dancing on Broadway! What’s your pre-performance ritual? I always make sure I spend at least 45 minutes stretching and warming up before I go on stage so that I can dance my absolute best! Hobbies: Obviously I love dance (and spend pretty much all my time doing it! ), but I love to sing, play the piano and cook! Favourite song to dance to: Anything Billie Eilish! I absolutely love her style of music, her musicality, her voice and all her songs! Your dance idol: Sophie Holloway! I love her style of dance, and she is a Radio City Rockette, which I just find the coolest thing ever! I also LOVE Pairs Cavanagh, who is also an Australian dancer. Her choreography is out of this world, and I was actually lucky enough to be taught by her earlier this year in Sydney - which I loved! Hidden talents: It’s not really a talent, but I have double jointed fingers and my thumbs bend all the way back! What do you want to be when you grow up? A dancer or a nutritionist. Name 3 things on your bucket list? 1. To travel to every continent in the world 2. To visit every Disneyland in the world. 3. To perform on Broadway! (obviously I love travel and dance - which is why I love SHE SHINES ON so much!). If you could fly anywhere in the world right now, where would you go? After my tour last year, I have realised how much I love New York City. So I would go back and watch as many Broadway shows as I could, see more incredible sights and embrace it all over again! Tell us about your most favourite dance performance ever. One of my favourite performances was actually on my tour to Orlando with SSO, when we danced at Disney. We has such a huge, supportive, loud audience, which made the performance so exciting! It was a pretty surreal experience to dance with my best friends, overseas at Disney, and in front of a huge crowd. It is definitely a performance that I will never forget. What are 3 words your best friends would use to describe you? Adventurous, loyal and hardworking. What do you like to do with your best friends? Go on a road trip to a beautiful place in New Zealand, try new cafes and foods, and take cool photos in new places! What do you love about dance? I love how I feel when I am dancing on stage, in the studio or even in my bedroom. I am happy, living in the moment and completely satisfied with life at that point in time. I love the unique opportunities that dance provides. I could be travelling the world performing on a cruise ship, being a princess at Disneyland or entertaining a live audience. The adventures are endless. I also love the many gifts dance has given me. For example a strong, fit and flexible body, the ability to handle pressure and last minute changes, a great work ethic and attitude and lifelong friends. 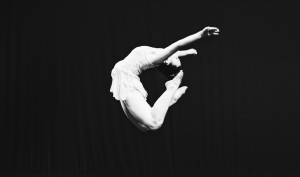 I would not be the determined, ambitious and passionate person I am today without dance. 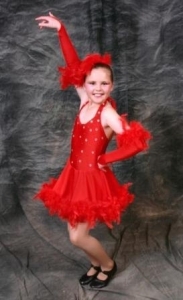 When did you go on your SHE SHINES ON Dance Tour? I went on the SHE SHINES ON Dance Tour to New York & Orlando at the end of June last year and had the best time! What did you learn most on tour? By doing dance classes, seeing shows on Broadway and having seminars with industry professionals, I was inspired to chase my dream of becoming a professional dancer and realised I would be able to achieve this if I kept working hard. I also realised how many opportunities are out there for dancers. Kim is an amazing lady who inspires all to follow their dreams. What are your dancing goals? I want to have a successful career in the dance industry and prove that you don’t have to go to university and get a standard 9-5 job to be successful. I would love to have the opportunity to work as a performer at theme parks and on cruise lines all around the world and maybe even one day be lucky enough to star in musicals. What’s your pre-performance ritual? Once I am all ready with my makeup done and costume on, I like to sit by myself in a quiet place listening to the music of the performance I am about to do and visualise the routine in my head. Hobbies: Between dance classes, auditions, dance gigs and teaching pilates and dancing, I don’t get much time for myself. However, when I do I love scrapbooking and keeping up with the latest fashion trends. Favourite song to dance to: Happy by Pharrell Williams. Your dance idol: My dance idol is Misty Copeland, as she defies all odds to achieve her dream. Hidden talents: Speaking Japanese and falling asleep anywhere at any time. What do you want to be when you grow up? I want to become a professional dancer, travelling the world. Name 3 things on your bucket list? 1. To be a professional dancer working for heaps of different companies. 2. To travel around the world. 3. In many years to come, own a successful pilates studio. If you could fly anywhere in the world right now, where would you go? I would fly to London and spend a couple of weeks there doing dance classes at Pineapple Studios, seeing shows on West End, shopping and exploring the best restaurants and cafes of London. Tell us about your most favourite dance performance ever. My favourite dance performance was my graduating showcase. After 2 years of studying full time to gain my Diploma in Music Theatre, I had the best time performing in our showcase alongside my friends and with my family in the audience. I felt a sense of fulfillment and happiness, and I was thankful for the experience, proud of my achievements and excited for the future ahead. What are 3 words your best friends would use to describe you? Kind, hard working and determined. What do you like to do with your best friends? I love to go out for lunch with my best friends, followed by a shopping date at the mall. What do you love about dance? I love that I can let go and escape to a different world and leave the stress of life behind. When did go on your SHE SHINES ON Dance Tour? I went on the LA SHE SHINES ON Dance Tour in June-July in 2018. What did you learn most on tour? I learnt that I can make my dreams happen. I also learnt new techniques and dancing styles. It also opened my eyes to a whole different world out there that I would love to be a part of. What are your dancing goals? My goals are to one day be on Broadway or dance and perform for Disney. What’s your pre-performance ritual? I like to not eat before I dance, I like to warm up and get my whole body warm before I perform. I run through my dances, jump three times just before I go on stage to help with the build-up of nerves and adrenaline, and say a quick prayer. Hobbies: Singing, painting, camping with family, watching movies and TV. Favourite song to dance to: I enjoy dancing in all styles and giving expression to all music. I don’t really have a favourite song to dance to. Your dance idol: Allison Holker, Travis Wall and Katherine McCormick. Hidden talents: I am a great organiser. What do you want to be when you grow up? I want to be a performer; dancing and singing on stage. After that, I would like to study physiotherapy. Name 3 things on your bucket list? 1. Visit Florence. 2. Italy, experience a white Christmas. 3. See as many Broadway shows as possible. If you could fly anywhere in the world right now, where would you go? Paris, France. Tell us about your most favourite dance performance ever. Dancing at Disneyland in 2018 was one of the best. I could see myself doing that every day as I was filled with such excitement and felt so alive. What are 3 words your best friends would use to describe you? Confident, talkative and organized. What do you like to do with your best friends? Hang out and chat. What do you love about dance? 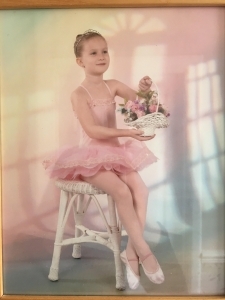 I have been dancing since I was 3, so for 15 years. I train in the styles of contemporary, commercial/urban, jazz, ballet and tap. 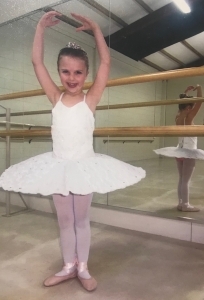 Dancing has run in the family, so I got put into ballet classes when I was 3 and decided I wanted to carry on because I love the buzz you get from performing. When did go on your SHE SHINES ON Dance Tour? I am the CYD? Super Convention Scouted Winner and won a spot on the LA Dance Tour this August 2019! Winning this opportunity is very special to me because I know that it is gonna be a once in a lifetime experience. I am most excited about training on tour, and I am really looking forward to going to all of the amazing studios to take classes. I have always watched all the LA dance videos at the famous studios like Millennium that you see all over Instagram, and the fact that I am going to be able to go and train at these places means a lot. What did you learn most on tour? Whilst on tour, I hope to improve as a dancer, I hope to gain confidence and take part in classes that I normally wouldn’t choose to so that I can grow out of my comfort zone. What are your dancing goals? My dancing goals are just to keep improving and hopefully make a career out of it. I just want to keep performing. What’s your pre-performance ritual? My pre-performance ritual is making sure I am warmed up properly and stretched so that I can perform to the best of my ability. I also try to relax and tell myself to just enjoy it, which is what I do every time I am on stage. Hobbies: In terms of hobbies, I pretty much am always either dancing or working at my job which is at the cinema. I also enjoy going out with my friends! Favourite song to dance to: My favourite song to dance to at the moment would be either Fire on Fire by Sam Smith or Waves by Dean Lewis. Your dance idol: There are many people I look up to in the dance world, but the main ones would be Autumn Miller, Briar Nolet, Charity and Andres, Delaney Glazer, Kaycee Rice, Kaea Pearce, and just The Royal Family in general. Hidden talents: I don’t have any hidden talents, pretty boring :). What do you want to be when you grow up? The obvious answer would be that I want to be a dancer when I grow up, but in a bit more detail… I would love to be a backup dancer on big shows such as X-factor, The Brits, and also for celebrities concerts. Name 3 things on your bucket list? 1. Go to the Maldives and visit the Sea of Stars. 2. Go dolphin watching or swim with them. 3. Live a life I’m proud of with my favourite person. If you could fly anywhere in the world right now, where would you go? Australia! Tell us about your most favourite dance performance ever. My most favourite dance performance would be at one of the UK’s biggest dance conventions. It was such a fun experience, and the nerves and excitement that you get before you go on that huge stage is very motivating. What are 3 words your best friends would use to describe you? Spontaneous (up for a laugh and to do anything whenever - within reason lol), funny and caring. What do you like to do with your best friends? A lot of my close friends are also dancers, so I like to dance with them but we also like going out and having a laugh. Whether that be out on the town or just for ice cream, no matter what we do we always have a laugh.